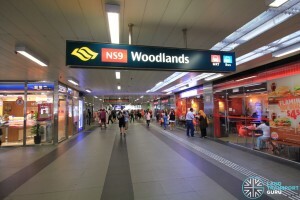 Woodlands MRT Station (NS9) is an above-ground station along the North South Line (NSL). 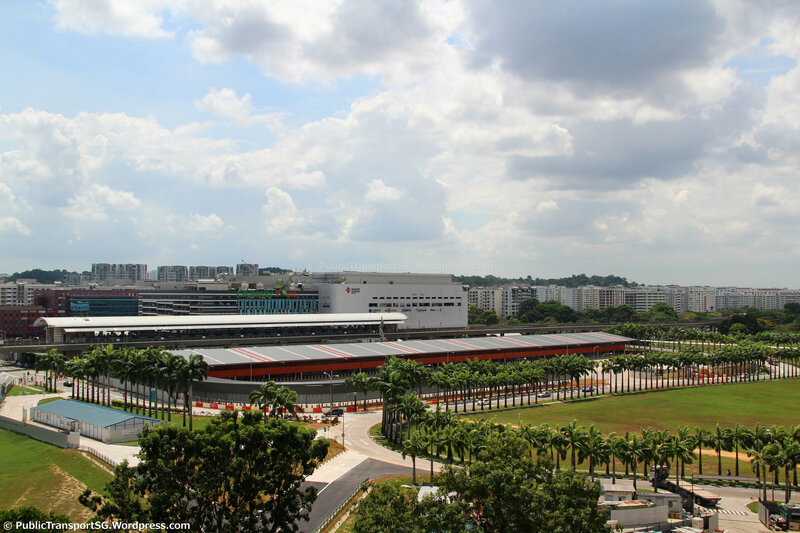 It is located within the Woodlands Regional Centre planning subzone, located in the heart of Woodlands New Town. A circular road, Woodlands Square, provides access to the station and its surrounding developments. This train station is affected by the 3 Day Closure on North South Line between Woodlands – Yishun on Saturday 18 May 2019 & Sunday 19 May 2019, as well as between Woodlands – Ang Mo Kio on Monday 20 May 2019. Click here for more details. 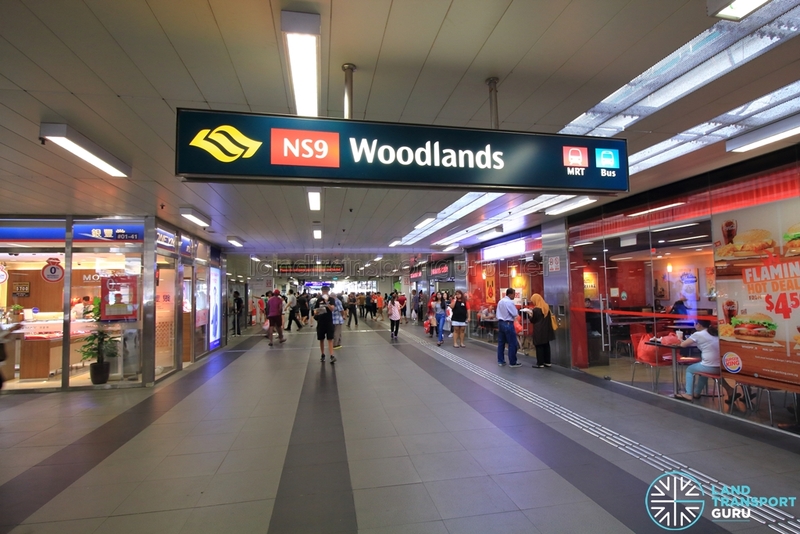 As a forested area in the past, Woodlands New Town is now served by Woodlands, Admiralty and Marsiling stations, with Woodlands station being situated in the Regional Centre (to differentiate it from the older Woodlands Town Centre, which is next to Woodlands Checkpoint). 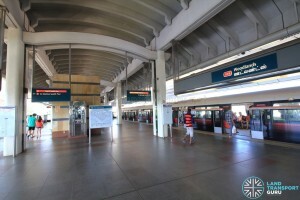 Opened in February 1996 a part of the NSL (Woodlands Extension), the station is built on top of Woodlands Regional Bus Interchange as a space-saving measure. 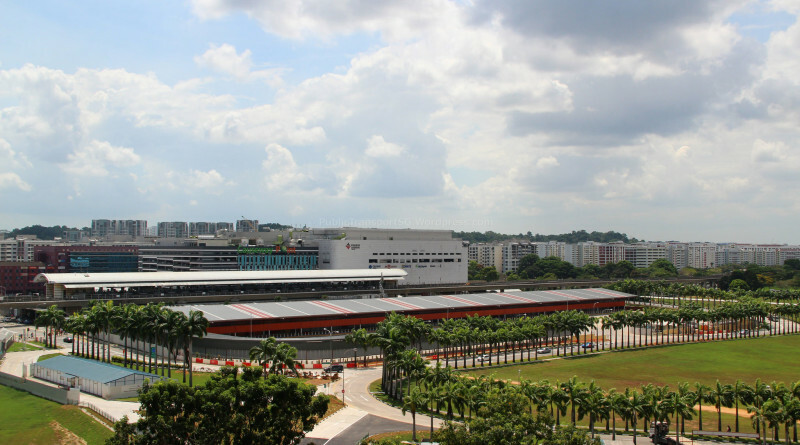 The station is a transport node for residents of Woodlands New Town, serving adjacent shopping malls and community amenities (Causeway Point, Woodlands Civic Centre, Woods Square), as well as schools and housing developments. Bus services are offered from Woodlands Temporary Bus Interchange, which took over the existing basement bus interchange, which was closed owing to Thomson-East Coast Line construction works. By 2019, Woodlands station will be an interchange station with the Thomson-East Coast Line (TEL) Stage 1, with the new station code station code NS9TE2 . The TEL station will be built underground. 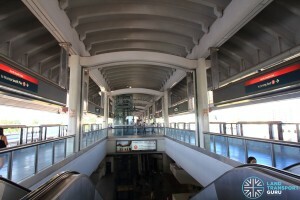 Woodlands station has two elevated North South Line platforms in an island platform arrangement. Half-height Platform screen doors are installed at the platform edge for commuters’ safety, and High Volume, Low Speed (HVLS) fans keep passengers cool. 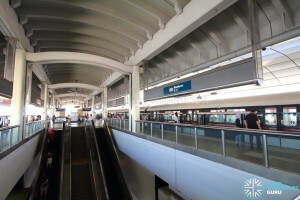 Unique in design is the station’s tall arched roof, supported by two rows of columns. A set of escalators, stairs and lifts connect to the concourse level below. Passenger Information Systems, which are plasma display screens located at each platform, display expected train arrival times and key messages. Tactile flooring helps to guide the visually-handicapped from the platform to station exits. The station has a ticket concourse located at ground level. 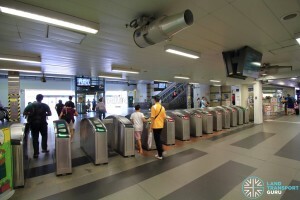 They feature faregates for automatic fare collection and provides access between paid and unpaid areas of the station, with at least one bidirectional wide-swinging gate for the benefit of passengers-in-wheelchairs and those carrying bulky items or travelling with prams. General Ticketing Machines allow commuters to purchase tickets for single or multiple journeys, and along with TransitLink Add Value Machines, offer contactless card transactions. The station office functions as a Passenger Service Centre, and is staffed during operating hours, where commuters may make travel inquiries or perform card transactions using cash payment. 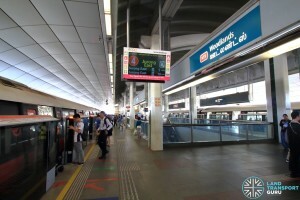 A TransitLink ticket office is also located at this station, operating between 8:00am to 9:00pm daily. Toilets and retail shops are located in the unpaid areas of the station, at ground level. Outside paid areas, a set of escalators, stairs and lifts connect to the Woodlands Regional Bus Interchange below (currently under renovation). Woodlands station has two underground Thomson-East Coast Line platforms in an island platform arrangement, expected to open for passenger service in Year 2019. Woodlands MRT station has three exits at ground level (A, B & C), all of which offer barrier-free accessibility for the disabled. Operating Hours: 8:00am to 9:00pm daily. Woodlands station connects to a bus interchange, as well as a taxi stands and passenger pick-up points. 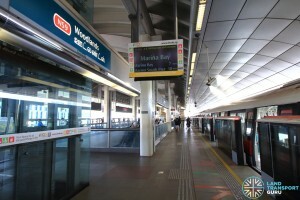 There is a single bus interchange linked to Woodlands station. In addition, passengers can board regular bus services at Woodlands Interchange for free rides. Located within the Woodlands regional town centre, Woodlands station benefits shopping malls, community amenities, schools and housing developments in the vicinity. It is also a key transport node for Woodlands residents, encountering high demand throughout the day. Contract T203 for the Construction of Woodlands Station and associated Cut and Cover Tunnels for the Thomson-East Coast Line was awarded to Korean contractor GS Engineering & Construction Corp. for S$292.2 million in June 2013. The tunnels from Woodlands station to Woodlands South station, including the reception tunnel to Mandai Depot, falls under Contract T206 which was awarded to Shanghai Tunnel Engineering Co; Ltd for for S$421.6 million in July 2013. The station will be a future interchange station with the Thomson-East Coast Line (TEL) Stage 1, scheduled to open in 2019.